The first ever Triton Super High Roller Series champion on the shores of Asia's largest gaming destination has been crowned. 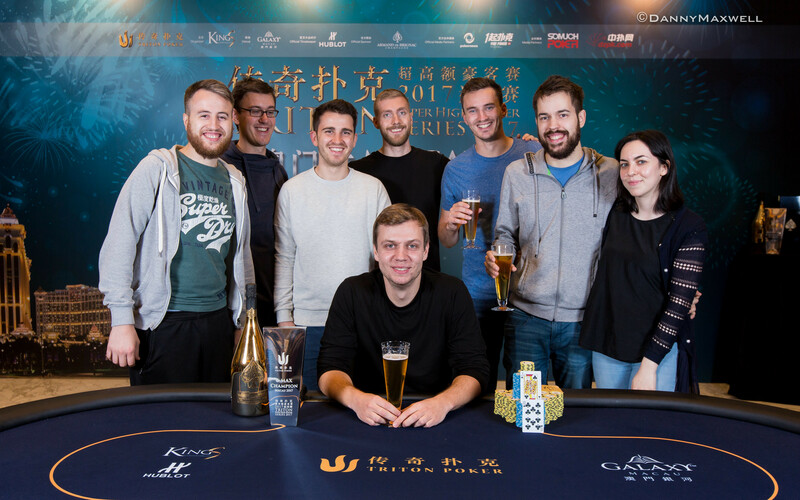 Germany's Stefan Schillhabel captured the HK $250,000 6-Max title and a top prize of HK $5,874,400 early Wednesday morning defeating Canadian Mike Watson heads up at the Galaxy Macau Hotel in Taipa, Macau. Schillhabel topped a record-setting field of 87 entries en route to his fifth tournament title of his career. With the win, Schillabel's live-recorded tournament earnings will climb to over US $6,500,000. This cash amounts to about US $752,000 which is the third-best cash of his career. His top cash coming in May of 2017 when he placed third in the Aria Super High Roller Bowl banking US $2,400,000. Schillhabel came into Day 2 sitting in the middle of the pack with 50 players returning to action. He would stay there for the majority of play until the final two tables were reached. When the final table kicked off, Schillhabel sat in fifth place of seven. It wasn't until he doubled through Dan Smith with five players remaining that Schillhabel began to take control. An impressive collection of the world's best poker stars gathered in Macau to shatter the previous attendance record set in Manila earlier this year. 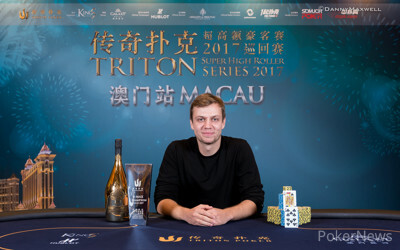 In fact, with the 43 entries in that event and the 41 received in Montenegro a few months later, the Macau 6-Max event attracted a field larger than both of the previous stops combined. All in all, a prize pool of $20,462,400 was created with the top 12 spots earning a prize. After the start of day chipleader, Ben Lamb fell in 14th place, Dario Sammartino busted to burst the money bubble. A short-stacked Sammartino survived two all-ins but would finally get cracked when he ran into Mike Watson's pocket queens. 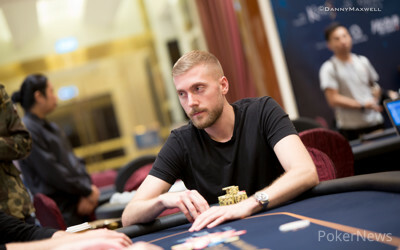 A barrage of eliminations followed claiming the tournament lives of Daniel Dvoress (12th - HK $552,000), Christoph Vogelsang (11th - HK $573,000), David Peters (10th - HK $593,000), Stanley Choi (9th - HK $614,000), and Furkat Rakhimov (8th - HK $634,000) before the final table of seven was set. Dan Smith took the chip lead into the final table but it was Watson who struck first, taking out Yat Wai Cheng who had just a few big blinds. Watson wasn't finished, sending Isaac Haxton to the rail next when his ace-ten won a race against Haxton's pocket eights. The final five players battled for the better part of four levels with the chip lead touching the hands of Smith, Watson, and Schillhabel more than once as they fought back and forth. Eventually, Steve O'Dwyer's run came to an end when he lost a race to Smith. The fortunes quickly changed for Smith as he suffered a couple beats from Schillabel and ultimately busted to the German calling off on the river when Schillabel made a straight. Smith mucked and went to collect his fourth place price. 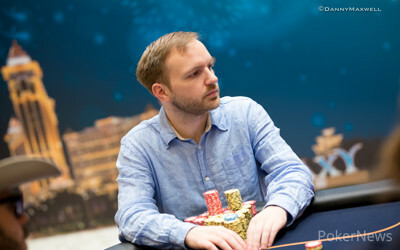 A heads-up battle between Watson and Schillabel was set when Manig Loeser lost the majority of his chips to Schillabel and was unable to recover after a couple of double ups. Schillabel began the heads-up bought with a five to one chip advantage and just one hand in, Schillhabel had Watson at risk. Watson open-shoved with pocket sixes and Schillhabel put hi at risk with jack-ten. Schillhabel found a jack on the flop and held to claim the title, the trophy, a brand new Hublot watch, a custom bottle of Armand de Brignac Champagne, and of course, all the money. The highlight and headlining event of the series is set for 1 PM Wednesday afternoon. The Main Event takes center stage and the buy-in raises to HK $1,000,000 (approx. US $128,000). Another huge and stacked field is expected with the likes of Fedor Holz, Dan Cates, Paul Newey, Lauren Roberts and Tom Dwan yet to take a seat in the series. PokerNews will be here throughout the series, bringing you all the news and updates. Follow @pokernews on Twitter for live updates and more. Also, follow PokerNews on Facebook and Instagram. On the first hand of heads-up play, Mike Watson moved all-in on the button and Stefan Schillhabel called, putting the title on the line. A race for the victory was set as the dealer patted the table and delivered a board. Schillhabel flopped a pair and it held through the turn and river and bust Watson in second place. Watson received HK $4,297,000 for his runner-up finish while Schillhabel earns HK $5,874,400 for the win. The field has been narrowed down to the final two players; Germany's Stefan Schillhabel and Canadian Mike Watson. Schillhabel has a five-to-one chip advantage as heads-up play kicks off. The two finalists have been sent on a 10-minute break. Stefan Schillhabel opened to 100,000 on the button and put Manig Loeser at risk, calling a three-bet shove for about 750,000. Loeser was in trouble and would lose it all on an run out. Loeser takes home HK $2,660,000 for a third-place effort. There hasn't been any significant action thus far in Level 25. manig Loeser and Mike Watson are handcuffed by the short stacks and Stefan Schillhabel is taking advantage. There have been many all-in bets preflop but no takers as of yet.